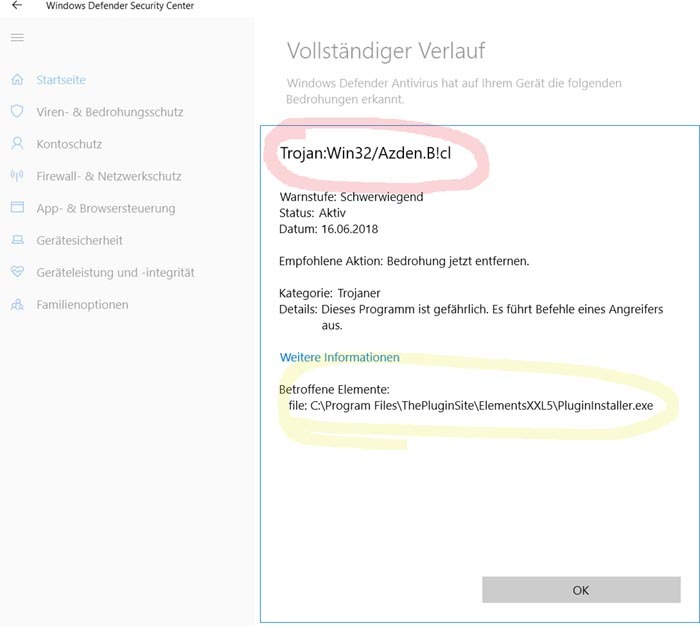 Windows Defender does not display such a warning message here. Looks like a false alarm to me. My other antivirus tools also do not show a warning. But maybe your computer is infected with this trojan anyway and the trojan infected Plugin Installer too. But then it certain did not come from installing Plugin Installer itself.